* The 2014 International Conference on Economics and Applied Statistics is an international forum for mathematicians, scientists and engineers to present their latest research and development results in all areas of Economics and Applied Statistics and their advanced applications in real life. Saint Petersburg is a world-class destination and Russia's second largest city, with a population of more than 5 million perched at the eastern tip of of the Baltic Sea and the Neva River. 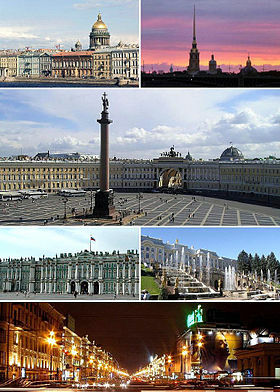 Saint Petersburg was the Imperial capital of Russia. The city was formerly known as Petrograd and later Leningrad. This is one of the most breathtakingly beautiful places on earth, and virtually any building in the large historic center, threaded with canals dotted with baroque bridges, can be considered an attraction—and indeed, it is a UNESCO World Heritage site. This is a magical city, with a long list of major attractions. Its Hermitage Museum, housed in the Winter Palace of the Romanov Dynasty, is both one of the world's greatest and oldest collections of art, treasure, and antiquities, and one of its most beautiful buildings. Saint Petersburg is a major European cultural center, and also an important Russian port on the Baltic Sea. by Prof. Igor G. Chernorutskiy, Saint Petersburg State Polytechnical University, Russia. by Prof. Nikolay V. Korovkin, Saint Petersburg State Polytechnical University, Russia. by Prof. Vladimir V. Gluhov, Saint Petersburg State Polytechnical University, Russia. by Prof. Francesco Mainardi, University of Bologna, Italy. by Prof. Massimo Ceraolo, University of Pisa, Italy. We cannot guarantee acceptance for cases b) and c), if the reviewers are not satisfied by your response and your (minor or major) modifications to your conference paper. We cannot guarantee acceptance for cases b) and c), if the reviewers are not satisfied by your response and your (minor or major) modifications to your extended paper.